Deepest Sender :: Firefox Add-ons: "Deepest Sender is a client that will allow you to post to blogs from directly within Firefox. It is primarily a LiveJournal client, although it supports Blogger (GData) and WordPress (metaWeblog) too, with support for more stuff to come. Note that the actual Deepest Sender website will always have the most up to date version." ^^ This stuff was automatically generated. Kidding. Feel free to browse and read anything here that catches your attention. Don't forget, however, that everything written in this blog is copyrighted (c) by the owner, so if you feel like 'borrowing' something - please make sure you link to original article on this website. Thank you. Hello, my name is Gary and I have created this place. I am an software engineer that lives in Berlin, Germany. My inner laziness, impatience and hubris had pushed me into engineering, and after winning some national programming contests my life has became fun and easy. My former employers are Volvo, Flextronics and Samsung. Currently I work for Nokia and build OVI navigation. I own a small outdoor advertising agency in a third-world country. 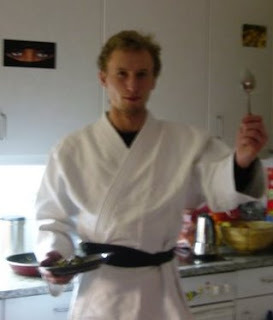 My free time I spend practicing Ju-Jitsu and updating this cozy engineering and optimization blog.